Phillip Island Helicopters is proud of its worldwide reputation as the premier provider of helicopter services for Phillip Island and surrounding region. We have a range of helicopters to suit your needs. We provide for a wide range of clients, in a wide range of categories from scenic flights for the local and tourism markets through to utility lifting, bushfire and aerial photography and cinematography. Our growing reputation for excellence in customer service and operations are based on a couple of basic principles. First; Safety is paramount in everything we do — from maintaining our helicopters to briefing our passengers. Second; All of our people understand that we are in a service business — friendly, competent and professional customer service is critical to our success. We have a tremendous group of dedicated staff who, beyond their impressive qualifications and experience, understand that going the extra mile for our customers makes the difference between a good operator and a great enterprise. 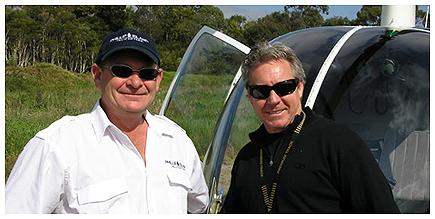 Phillip Island Helicopters is currently working with companies like Go West, Autopia and Penguin Island Tours. We are constantly on the look out for other Tour operators who service Phillip Island’s large tourism market. If you are a commercial operator and looking to enhance your customers experience whilst on Phillip Island, please contact us to arrange a meeting.